Entrepreneurs are people who combine natural, human capital and capital goods together and, making a risk, to start and run a business. They don’t tie in with the gov’t but only when they want to start a business. Depending on what type of gov't McDonald’s, for example, is an entrepreneurship NOT controlled by the gov’t, but by everyday people (mostly). Doing all this does affect the economy though. It raises the country’s GDP because most of the products sold in entrepreneurial businesses sell products from its homeland. 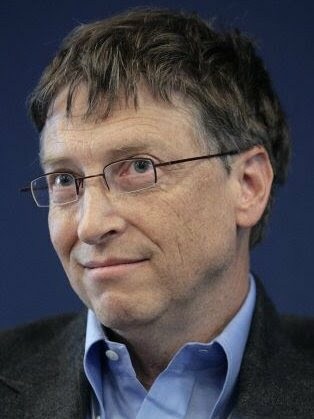 This is Bill Gates, a very important entrepreneur who started Microsoft. The pictures above are Wikimedia Commons. The silver coin with golden frame is a Turkey lira. The brown coin is Israel's New Shekel. 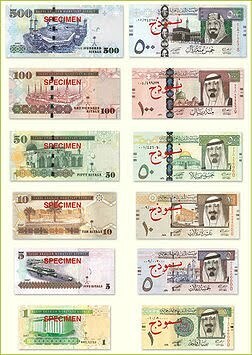 The paper currency is Saudi Arabia's riyals. Click on this diagram to zoom in. SS7E5 The student will analyze different economic systems. c. Compare and contrast the economic systems in Israel, Saudi Arabia, and Turkey. SS7E7 The student will describe factors that influence economic growth and examine their presence or absence in Israel, Saudi Arabia, and Turkey. d. Describe the role of entrepreneurship.